Dr. Fadi is a physician, emergency-management specialist, former US Congressional staffer, author, first responder and medical officer with the Israeli Medical Corps. He is principal of REDIS-USA, a Southern California-based enterprise that provides training and management solutions at the intersection of theory, policy and practice. His main focus is on executive-level policymaking in information-rich environments of public health and safety. For fifteen years Dr. Fadi served as a senior staffer in the US House of Representatives covering DHS, DoD, HHS, VA and DOJ assignments. As Homeland Security Director for US Congressman Dana Rohrabacher Dr. Fadi lead free operational training programs pertaining to management of risk, emergencies, crises, and disasters for all-hazards including CBRN-warfare and terrorism. In 2000 he initiated the nationwide Safety and Security Sciences Training and Knowledge Network (Stak-Net) that remains active under his leadership to this day. 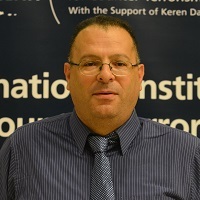 Dr. Fadi is long time member of the Los Angeles Terrorism Early Warning Group and is one of the initiators of the Southern California Terrorism Early Warning Network. Served as Chairman, Training and Exercise Subcommittee, Central California Area Maritime Security Committee for the ports of Los Angeles and Long Beach, the biggest seaports in the USA in addition to a variety of regional HS/EM committees and task forces. Dr. Fadi is a Contributor/co-author, “Counterterrorism, Bridging Operations and Theory,” TRC book 2015. He also authored several papers and served as an instructor and course designer for several entities including the US Department of Homeland Security, local government agencies, healthcare organizations, US Army Reserve, National Guard, US Marine Corps and various academic, scientific and trade organizations. Dr. Fadi is currently editing his new book about knowledge management in emergency management and homeland security in light of recent findings in neuroscience and modern information theory.